A choice variety from Sue Cupitt, with a compact habit and beautifully marked silvery spotted leaves. The pale blue flowers in spring are a bonus! Good in heavy and even in clay soils. A great plant for woodland or wildlife gardens. Lungworts don’t like growing in pots do plant as soon as possible. 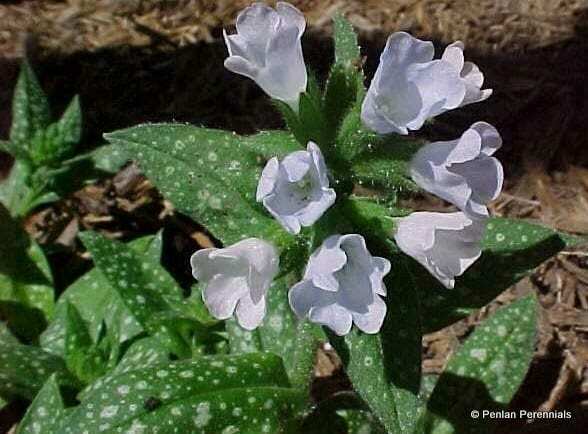 Best grown in moist soils or they can be liable to mildew. Divide in spring as the new growth appears.